November | 2015 | The Loudest Librarian! When Annabelle finds a box of yarn, she knits a sweater for herself, and her dog, Mars, her entire class, her parents, and all the people, animals, and buildings in town. But still, she has extra yarn. Until one day a greedy archduke sails across the sea to steal Annabelle’s box of yarn. 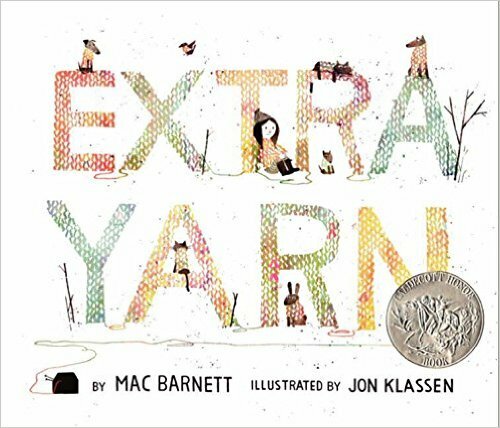 This is a wordier picture book than the others, but it still held the kids mesmerized (I read it to two second grade classes this week too, and several of them said it was their favorite). The illustrations by Jon Klassen add color and whimsical humor to the story. Mac Barnett, who lives in Oakland, has written a number of my favorite picture books, including Guess Again! and Count the Monkeys. This is one of those rare books that works for almost any age group. A parody of the old song “It Ain’t Gonna Rain No More,” it tells the story of a naughty little boy who can’t resist painting himself all over. I enjoy trotting out my Southern accent (I come by it honest, since I grew up in Georgia, although most people can’t tell). Older kids enjoy trying to guess what body part the boy will paint next, based on the rhyme: “Still, I just can’t rest, ’till I paint my…Chest!” “But I ain’t complete, ’till I paint my…Feet!” The big punchline is the last line, when the boy’s horrified mother walks in, “But I’m such a nut, gonna paint my…WHAT? !” This one is always a hit, and would make a fun addition to a lesson on rhyme. 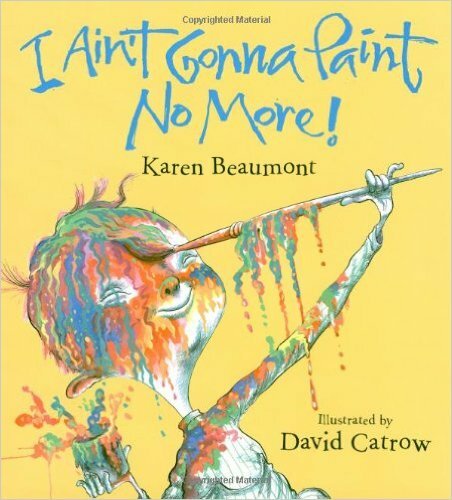 Author Karen Beaumont, who lives in San Martin, has written lots of other fun rhyming books, including Who Ate All the Cookie Dough? and Baby Danced the Polka. This book is powerful and ingenious, and works on so many different levels. Blue is a happy color, except when he’s being picked on by Red. All of the other colors like Blue, but they never tell Red to stop being mean to him, so Red becomes bigger and scarier and starts to bully all of them. Until 1 comes along, and simply says, “No!” to Red’s threats, and all of the other colors realize that they can count too. One by one, they turn into numbers. The lovely thing about this anti-bullying message is that in the end, Red is welcomed back into the group because “everyone counts.” I’ve used this book for lots of different themes, including numbers, colors, friendship, bullying, and even for Martin Luther King Jr.’s Birthday. 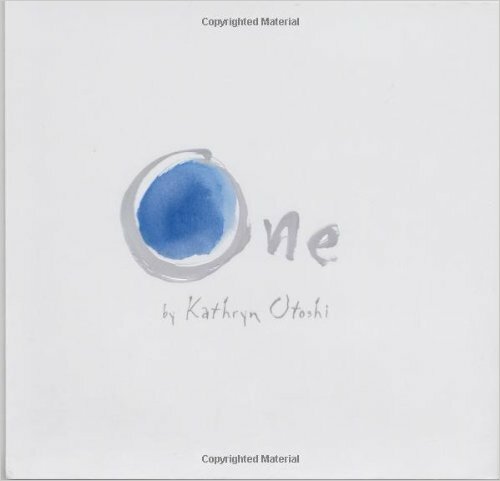 When I got to last line, “Sometimes it just takes 1,” one Dad audibly gasped, “Wow.” Kathryn Otoshi, who lives in Marin County, has written several other picture books, including Zero, Two, and What Emily Saw. I love this book. It’s about a kid who buys a pet rhinoceros, only to learn that rhinoceros don’t do much. In fact, he is told, they only do two things: pop balloons and poke holes in kites. The kid is deeply disappointed, until he sees two robbers escaping (you guessed it) in a balloon and a kite. Such a random idea, and hilarious to read aloud. Even the parents were laughing. 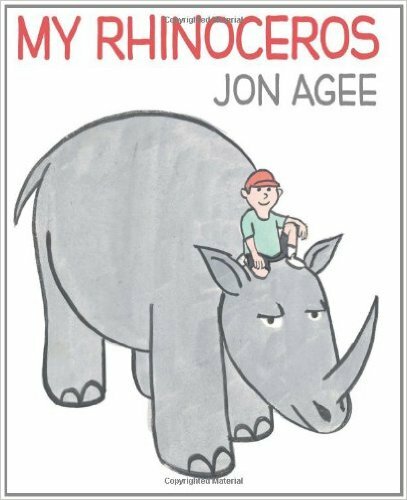 Jon Agee lives in San Francisco, and actually visited my son’s elementary school a few years ago. My other favorite books by him are Milo’s Hat Trick and Nothing. I was originally planning to do a yarn craft, like pom-poms or yarn dolls, to go along with Extra Yarn. But I couldn’t figure out how to make it simple enough for the younger kids (I get anywhere from babies to second graders at my family storytimes). In the end, I decided to fall back on my old standby–Dot Paints–to go along with One and I Ain’t Gonna Paint No More. I was glad I did. 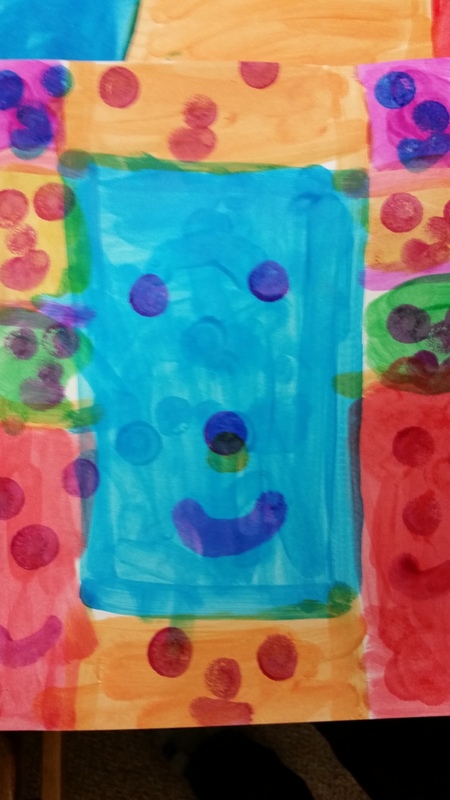 The first thing one of the kids said was, “Can we paint whatever we want?” When I said, “Yes,” his face lit up. They all were so engaged in their creations, even the babies, and it was fun to see what they came up with. This beautiful story about an unlikely friendship between a bird and a lion whose tail is always changing color has been one of my favorites since library school. Elisa Kleven, who lives in Albany, has a number of sweet picture books with lovely, colorful mixed-media illustrations, including The Puddle Pail, The Paper Princess, and The Wishing Ball. I read this one to a second grade class the other day, and one of the kids came in to the library that very night to check it out. Laslo is afraid of the Dark, until one night The Dark comes into his bedroom at night, and leads him down into the basement to find something he needs. This is a wonderful read-aloud: atmospheric and creepy (like the dark), but not scary in the end. It would work well for a lesson on personification. Lemony Snicket (the pseudonym for San Francisco author Daniel Handler) is famous for his chapter book series, A Series of Unfortunate Events, but has also written the picture books 13 Words and The Latke Who Couldn’t Stop Screaming (my favorite Hanukkah book). What are your favorite books by Bay Area authors?